Park Zrinjevac is one of the most recognizable symbols of the city. It is the first in a range of seven parks from the famous Lenuzzi’s Horseshoe, spreading over a surface of 12,540 square meters. 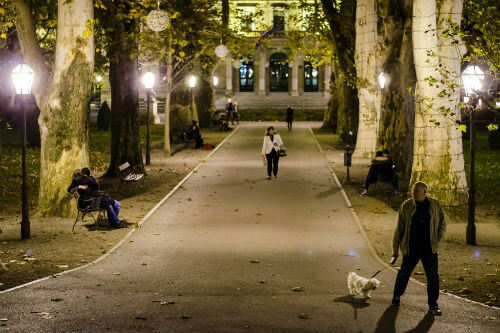 Throughout history, it served as a promenade for the higher class society, who were proud to show their new hats and talk about key topics in Zagreb. Today, the park is a popular gathering place for numerous citizens and tourists, as well as a venue for various cultural events, festivals and concerts.